Several months has passed since I last used my Meco charcoal water smoker and grill for smoking meat. I occasionally used it for grilling and it works great for BBQ. I was planning to try to smoke a beef brisket. And since the price of a beef brisket is not cheap, I wanted to make sure that it will not go to waste. I learned that I needed another tool to help me in my quest. A wireless thermometer would help me keep track of the temperature inside the smoker and the temperature of the meat while its cooking without taking the lid off. I also searched the internet for tips and watched some videos to help me get the most flavor out of my brisket. 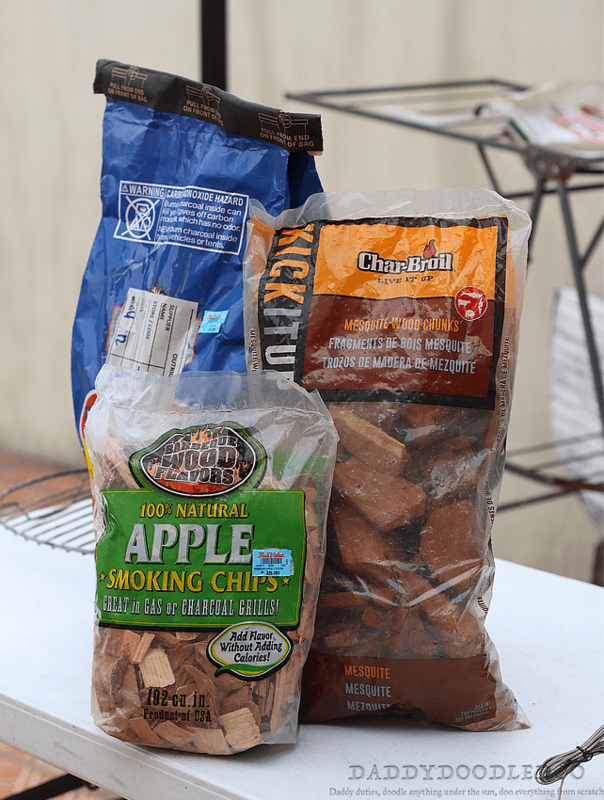 I bought a Kingsford long burning charcoal and two types of wood for smoking a Charbroil Mesquite wood chunk and barbeque wood for flavor: Apple wood chips. I got all of this from True Value except the thermometer which I got from Lazada that took 3 weeks to arrived. There are a lot of techniques for smoking. Now I am not an expert. I am just a guy trying something new and just going with it and learning along the way. Besides there is a lot of videos and blogs from expert about smoking in the internet so I will let them do the talking. The Brisket came from a local grocery store here. I also found a local charcoal manufacturer that sells an ecofriendly charcoal that works really great and does not cost as much as the Kingsford. Having the wireless thermometer was very convenient since I can monitor the temperature from a distance. Monitoring the temp. is very important when smoking because you have to maintain the exact temperature to achieve a perfect brisket. The result was a beautiful smoke ring on my brisket. We sliced it up and had a beef soft taco and shared it with our extended family. It was a great experience for me, it was worth all the trouble. I learned a lot specially in smoking beef. Next time I will try a different method and try to find another source of quality beef. Till next time keep on smoking. Now this looks like something my husband would enjoy having when he grills out. We have never used anything like this before, so I think he would like using this for grilling. I LOVE smoked food! It make my mouth water just thinking about it! 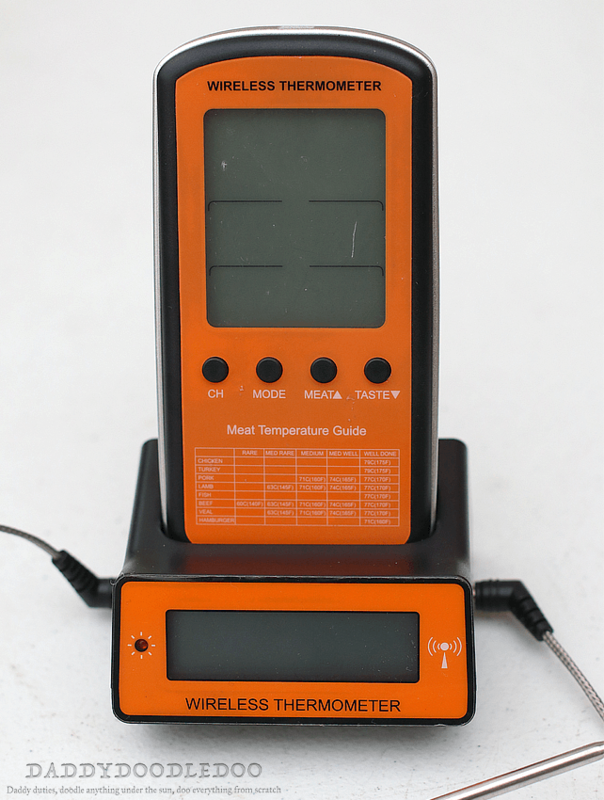 This thermometer is a perfect gift for the hubby! I can’t wait ti get this for him. My husband would definitely enjoy this, and so would I! I will have to show him this recipe when he gets home later. 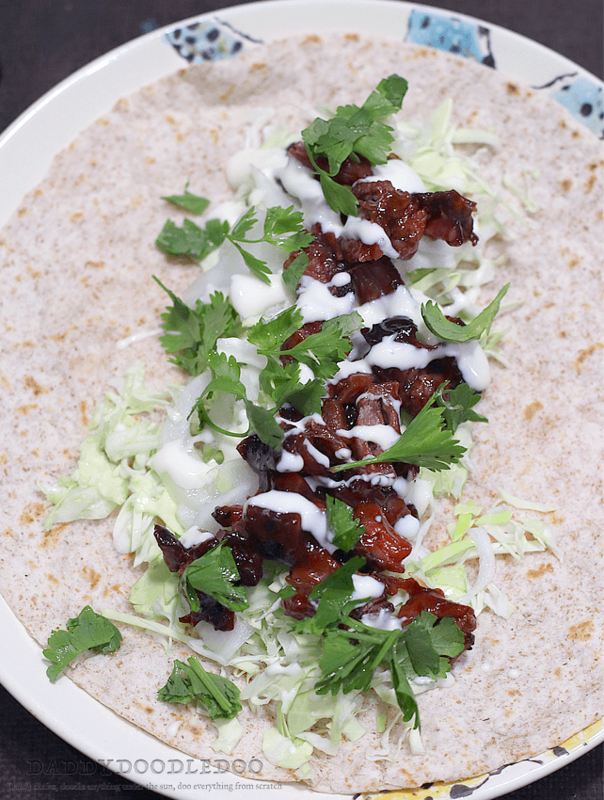 This recipe looks mouthwatering! I would love to try and make this for my family. I hope my recipe turns out as yummy as yours looks. You did anamazing job cooking that brisket. I know anyone who loves a great piece of meat well cooked would love this the way it looks and the way it was prepared. I’m sure my husband will like this. He enjoys grilling. I just LOVE brisket. We need to grill some for sure. 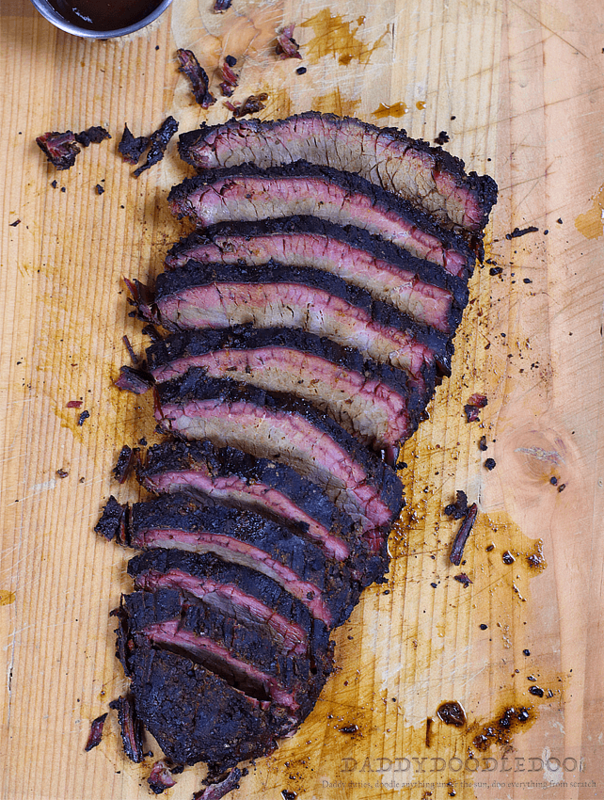 That smoke ring has me craving a slice of brisket. Love the tech on that thermometer. That would make a great gift for my husband who is the Chief Master of the Grill in our home. 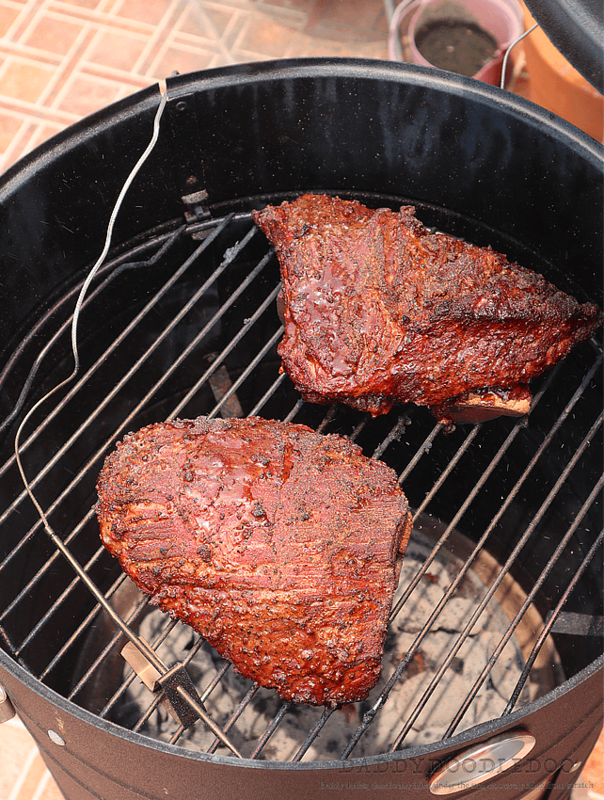 That smoked brisket looks delicious.l The thermometer looks like a great tool for any serious barbecuer/smoker. This looks like a meal that everyone in my family would love. I think I need to invest in one of those thermometers for the grill masters in our family too! This smoked brisket looks juicy & mouthwatering. Hubby just got a new grill so this thermometer would be a great gift. A good smoked brisket is an awe-inspiring thing. We have a big green egg and my husband smokes a brisket and a pork loin every week. Yes, we are spoiled. We love Beef Brisket for the holidays! I have never smoked it before though. Now that I see your post I am going to have to give it a try! I have never attempted to make my own brisket before but you’ve totally inspired me! Yours looks like it turned out perfect. That brisket looks delicious! We haven’t tried smoking yet, but we are wanting to try! I love the idea of the thermometer. I will have to look at getting one for Spring. I have always been intimidated by smokers in the past but this one looks fairly simple to use! I may have to get one and try it out for myself!